Xbox One: a good business investment? It's for work! Not play! 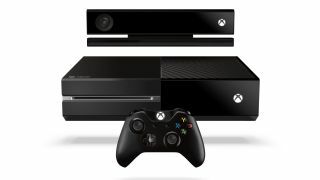 Microsoft has recently pitched the Xbox One as a worthwhile business investment. In a competitive console market in which Sony is about to launch its PlayStation 4, it's hardly surprising that Microsoft is doing everything it can to boost sales ahead of the Xbox One's launch in November. Since the release of the PlayStation 2 in 2000, games consoles have been branching out into media such as DVD and Blu-ray. But now the devices are being pitched as complete home entertainment hubs, the main selling point being their ability to stream TV through apps for services such as Netflix and LoveFilm. This is where the business use case comes in. If Microsoft is able to create an ecosystem, supported by developers and aimed at enterprises, the £429 Xbox One could indeed work as a business hub as well. But Microsoft's recent blog plugging the Xbox One's business uses - which has since been deleted - has been dismissed by many as a marketing ploy. Writing the blogpost, Marques Lyons, Xbox MVP, advised SMBs to think seriously about getting the device for a small office. According to Lyons, the Xbox One "is an affordable option for small business owners, as there are many features built into the console that could help it rival even the most modest of videoconferencing and networking platforms". Among its uses, the Xbox One provides access to Microsoft's soon-to-be renamed SkyDrive cloud service using a dedicated app, so you can share images, videos, Excel spreadsheets and PowerPoint presentations. But this is nothing you can't do on your PC. And unlike hardware such as the Raspberry Pi device, the Xbox One doesn't have multiple business functions straight out of the box. Yet using it within a business isn't entirely ridiculous. If you are going to buy an Xbox One anyway - or you're in need of a decent telecommunications system - the upcoming games console could be the answer. The Kinect motion sensor that comes with the Xbox One does have additional power and functionality, as well as the potential to work with business apps in the future. "Ultimately in my view the appeal of the hardware out of the box is limited," says Adam Holtby, ITSM Research Analyst at Ovum. But he adds that some firms may be able to leverage the device for collaboration, such as developing integration between Skype, Yammer and videoconferencing. For example, the device's Snap feature, comprising a dual screen, could bring up social information while a firm is talking to a sales client to find out about the customer while speaking to them, Holtby suggests. He points out that the Kinect sensor is intelligent, so in the near future it could have many more innovative uses for business, depending on whether the right apps are created for it. "You only have to look at the previous Kinect to know it went beyond what Microsoft intended and it was leveraged and used for a host of different apps. So it depends on how Microsoft evolves this," he says. The user interface makes it possible to build business apps to use on the Kinect, agrees Brian Blau, Research Director at Gartner. "It's an entertainment device," he says. "It looks like it will compete with Sony and it also integrates with their own app ecosystem. So this links with business; but what are the real life apps that you would use?" Blau says that using Kinect and Skype together "could be very interesting". This would see the Kinect used as a camera and track people in the room; or potentially use gesture as the user interface control, he says. SMBs that rely on visuals, such as design or architecture firms, could potentially use the Xbox One as a visual computing device. The Kinect can also be used in health for physical body tracking, Blau says, citing the example of a demo at last year's E3 conference using the sensor for monitoring the heartbeat. Over the next few years, business apps in the medical, manufacturing, product design, computer aided design and medical data visuals industries could also emerge. But Blau points out: "Someone has to write the apps and who is going to do that? Developers have to either pay Microsoft or jump through hoops to publish the apps. There has to be a big enough market for them to do this." Microsoft has been criticised by the gaming industry for making it difficult for indie developers to create applications. More recently, however, the firm announced a u-turn allowing indie developers to self-publish on the Xbox One, which could help the creation of business apps in the long term. Yet Microsoft will have to substantially support the creation of business apps to make it an attractive market for developers. "If Microsoft are going to deliver on their promise, it's down to them to create an ecosystem for business apps. It's up to them to show SMBs how it can be used," Holtby says. He cites Apple as an example of a firm that's already done this well. "The iPad is a great example; its real strength is in the apps. If Microsoft takes a certain route, it can encourage this further and it could succeed." The soon-to-be-released Xbox One currently has little use for most SMBs, but there are some useful business capabilities - particularly if your firm depends on Skype and SkyDrive – and it's worth watching developments. If Microsoft delivers an ecosystem and the apps start coming, the Xbox One could be a very useful device to have in a small office in a year or two. If you're interested primarily in gaming, how does the Xbox One stack up against Sony's PS4?